There are two kinds of marital agreements under Texas Family Law, premarital agreements (also known as prenuptial agreements or “prenups”) and marital property agreements (often called postnuptial agreements or also partition or exchange agreements). Why enter into a marital agreement? Many couples, including some who stayed married, are glad they took the time to define these issues. Marital agreements help to protect your assets you acquired before marriage; minimize the cost of a divorce proceeding; reduce anxiety; and ensure that your beneficiaries receive their intended inheritance. These agreements can also address issues that might arise in the event your marriage is terminated by either your or your spouse’s death. A premarital agreement, often referred to as a prenuptial agreement or a “prenup,” is a way to protect assets and remove uncertainty, in the event of a divorce or the death of you or your spouse. Building an estate takes a great deal of time and effort. 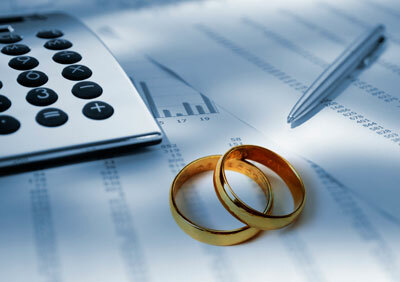 Texas Family Law provides a way for you to protect that estate in the event of divorce or death. There may be others depending on you for their support. This is a way for you to be assured they are cared for after your death. In the event that your new marriage should end it divorce, this is a way to avoid many of the uncertainties that may arise in family law litigation. ensure that your beneficiaries receive their intended inheritances. While a premarital agreement can address certain issues pertaining to children of the parties, a provision that adversely affects a child is unenforceable in Texas. Any such provision must be in the best interest of the child and that is a decision for a judge or jury. property rights of children from an earlier marriage. Marital Property Agreements, often referred to as a postmarital or postnuptial agreement or also may be termed a partition or exchange agreement, are a way for you and your spouse to protect your assets after marriage by changing their character as community or separate property. It also provides a way to convert separate property into community property if your wish is to further merge with your life partner. These are issues that cause anxiety and can lead to costly litigation in divorce or after one or both of the parties dies. Similar to an insurance policy, the insured hopes they’ll never file a claim, but they are relieved that it is in place if necessary. It is extremely important for each party to have their own attorney, especially if one spouse has fewer assets, and the agreement should be notarized. If both parties are represented by an attorney the agreement is that much stronger and less subject to attack in subsequent litigation such as a divorce. In Texas, a postnuptial agreement cannot decide any issues about child custody and visitation or child support. If a marital agreement is done carefully with all the rules followed, it is very difficult for a party to the agreement to come back later and have it set aside. However, there are instances where a marital agreement can be invalidated. If it can be proven that a party did not enter into the marital agreement voluntarily, then the agreement may be set aside. a party was under duress or undue influence at the time of the making of the agreement. did not have, or reasonably could not have had, adequate knowledge of the property or financial obligations of the other party. As said before, if a party is not represented by an attorney, that may open the door for that party to attack the agreement at a later date. Contact Chris Spofford to learn about your options in the area of marital agreements and how he can help you with your choices. The State of Texas provides protection for you and Chris can help you defend your rights. He has represented individuals on Family Law cases in the greater Houston area continuously since he was admitted to the Texas State Bar in 1986. He is Board Certified and has represented both the person with the greater assets on how to protect those assets as well as the one with fewer assets to be sure that they are treated fairly. Whatever your situation, Chris will guide you with insight and knowledge and defend your rights aggressively. Marital Agreements are provided for in Texas Family Law to help structure and manage the assets of the two parties joining in marriage.